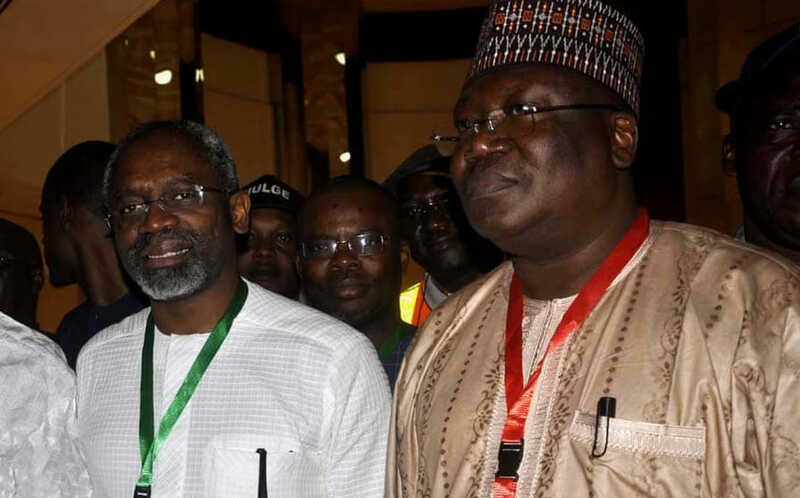 Aspirations of Ahmad Lawan and Femi Gbajabiamila to head the ninth Senate and House of Representatives when it is inaugurated on June 11 have received a major boost with their endorsement by governors of the All Progressives Congress (APC). Governor Hashim Kashima who made the disclosure also said all senators-elect and House of Representatives members-elect from Borno State have endorsed the candidature of the duo. He said the only way APC governors could appreciate to President Muhammadu Buhari is to support his programmes and political decisions. “As far as Borno is concern, we are in alignment with the aspirations of Mr. President and that of our party. Already, two other contenders- Mohammed Ali Ndume (APC, Borno) and Danjuma Goje (APC, Gombe) have started campaigning for the plum position in the upper chamber. Shettima promised to prevail on Ndume to step down for Lawan in deference to the position of the party. “I hail from the same state with the distinguished Senator Ali Ndume. And I appreciate the fact that politics is local. But politics is also national. And I believe the blood that binds us together supersedes whatever we might harbour. “But I fully aligned with the aspiration of my party, to the aspiration of President Muhammadu Buhari and by the grace of God; we are going to mobilize all our goodwill to see that we are fully on board…. “We are for party discipline that allowed everyone to aspire for political offices. We believe that we must respect the party…I am for Senator Ahmed Lawan for Senate president. “Well, I am the first citizen of the state; I have made wide consultations with our leaders from Borno before resolving to back Senator Ahmed Lawan. “And most importantly, let’s be brutally honest, Muhammadu Buhari is the single candidate in the country that most of us from the North won election by aligning with Muhammadu Buhari. “So, we have no basis to undermine him or to disrespect him…He has endorsed some of the best hands we have in the system and where we hail from; Senator Ahmed Lawan is one of the best hands we have. “It is a reality. He has been in the National Assembly since 1999; he has the experience, exposure, pedigree, intellect to redefine the process. He is the best amongst equals. “He is level headed, calm, matured and we need such quality of leadership to drive the ninth Senate. But stakeholders and elders from Borno State have disagreed with Governor Shettima. In statement, yesterday, Borno elders on the platform of Concerned Borno Citizens appealled to President Buhari to stick with former Senate Leader, Ndume and ensure his emergence as president of the ninth Senate. The elders, who spoke in reaction to reports that the governing party has endorsed Lawan expressed fear that some dark forces were working on a plot to hijack the leadership of the ninth National Assembly for their selfish political gains that could be highly counterproductive to the policies of the Buhari Presidency in the second term. In a statement by their spokesman, Yakubu Umar, the elders reminded Buhari of his personal endorsement of Ndume to contest the office of the senate president earlier in December. President Buhari did not only agree that Ndume should contest, he endorsed him, which was what encouraged him to step out in preparation for the contest, the group claimed. “This is because it is the responsibility of the senate leader to liaise between the senate and Mr President. Perhaps, this was not taken seriously. “Senate leader is the one who markets executive bill to the senate and carries out any improvement such bill requires to be accepted by the senate. This is the function Lawan failed to achieve. “Between senators Ndume and Lawan, who among the two President Buhari should first pat on the back for loyalty, except that Mr. President chose to look the other way while former Governor Bola Tinubu nominated Senator Lawan for him and APC to endorse for the ninth senate presidency? “Ndume was elected to represent Chibok/Damboa/Gwoza Federal Constituency in the House of Representatives on the platform of ANPP in 2003, a position he occupied from 2003-2011. On the inauguration of the sixth Assembly in 2007, he was unanimously elected as the Minority Leader. Of course, Ndume had toiled with President Buhari under the ANPP days. “Ndume was elected to represent Chibok/Damboa/Gwoza Federal Constituency in the House of Representatives on the platform of ANPP in 2003, a position he occupied from 2003 – 2011. On the inauguration of the sixth Assembly in 2007, he was unanimously elected as Minority Leader. Of course, Ndume had toiled with President Buhari under the ANPP days. “He was first a Minority Leader and Majority Leader before Lawan, in other words, he has more ample lawmaking administrative experience than Lawan. In terms of productivity and efficiency, Ndume has the highest number of bills passed and also topped the chart of bills sponsorship with 64 bills barely within the 2 years he was a senate leader. This was just as no bill passed by the National Assembly was denied assent by the President within the period.